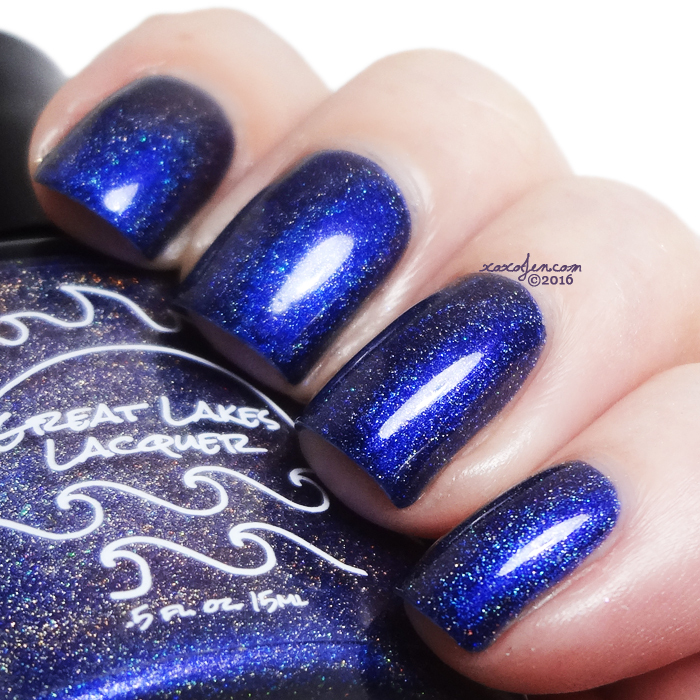 This week's launch will feature week 6 polishes from Great Lakes Lacquer and Different Dimension. 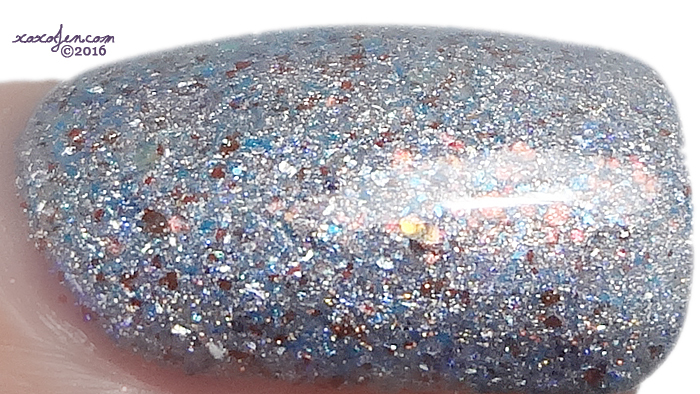 Baby blue holographic base loaded with iridescent red to green color shifting glitters and a smattering of red flakies. Could not stop looking at my nails, wore it for a week, didn't want to take it off! So much more sparkly and iridescent than my images show. You need to see this one in pereson! 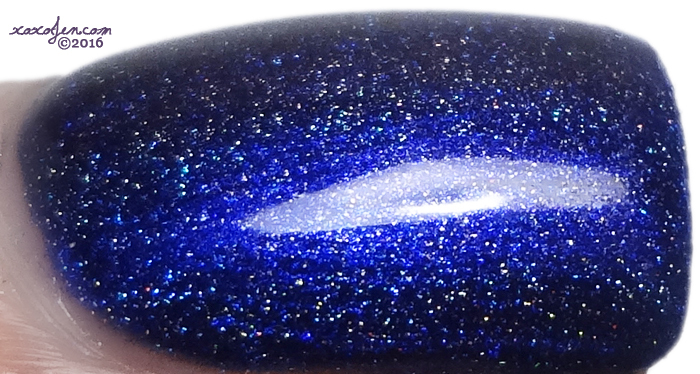 A dark slate blue linear holographic with multichrome shifts of purple, blue, red, and gold. Such a changer, shifter, mysterious one! 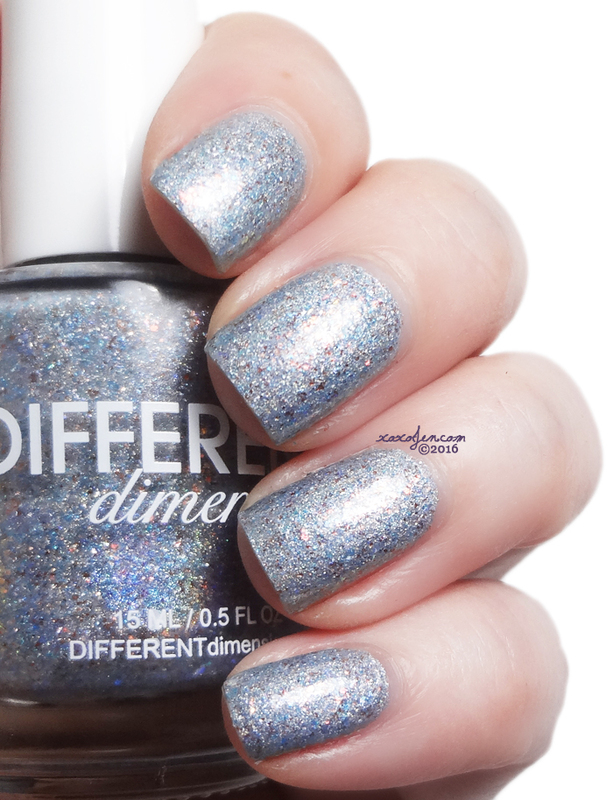 It was difficult catching the shift with my camera, but this polish looked a different color in varied lighting and angles - like magic!